VELUX TMR-014 Sun Tunnels are constructed with long-lasting material to make sure they can handle heavy weather. 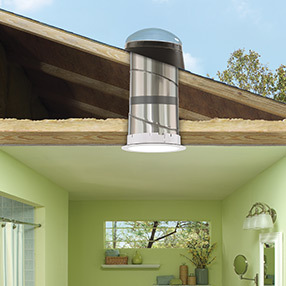 Quickly transform dark spaces into light filled rooms at an affordable price. Sun Tunnel Skylight do not require any electrical work or operating accessories. The VELUX TMR-014 Sun Tunnel Skylight is our top selling Sun Tunnel every year. It's great for lighting up dark areas in your home or office. Bring new life to hallways and bathrooms with just one Sun Tunnel. Affordable and easy to install! 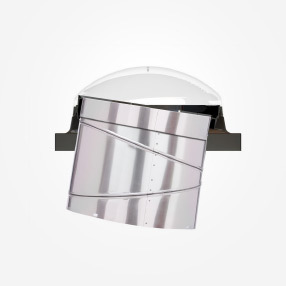 Designed to capture light through a high-impact dome on the roof and send it through a highly reflective tunnel, transmitting a pure natural light with no color shift. The adjustable pitch adapter makes tunnel installation easier and enables more light to be captured. A tunnel connection system that cuts tunnel installation time in half and highly reflective tunnels that deliver the highest quality daylight into the space below. VELUX SUN TUNNEL™ Skylights are available in the following size ranges. 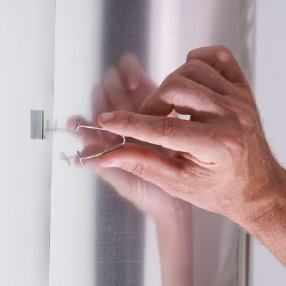 Your installer will help you determine the exact size needed for your space. installing any other VELUX skylight. Below is a video outlining the installation procedures for a VELUX Sun Tunnel Skylight. If you have specific questions about installation or sizing please call or email us with questions. Our normal response time within just a few hours.